IT’S an iOS® POCKET PODCAST STUDIO! The SC6-L is a compact duo-3.5mm TRRS-to-Lightning Mobile Interface that enables broadcast-quality audio recording with two RØDE smartLav+ microphones; a compact solution for on-the-go interviews and podcasts, both for audio only and filmed scenarios. It’s a pro-quality pocket podcast studio! Thanks to the 3.5mm headphone jack, you can both monitor in real time and listen to playback. Download the free RØDE Reporter App to adjust input and monitor levels, along with a suite of other settings to reduce work in post – you can even share it immediately. The Mobile Interview Kit will also work with other iOS recording software. Simply plug-set-&-record. 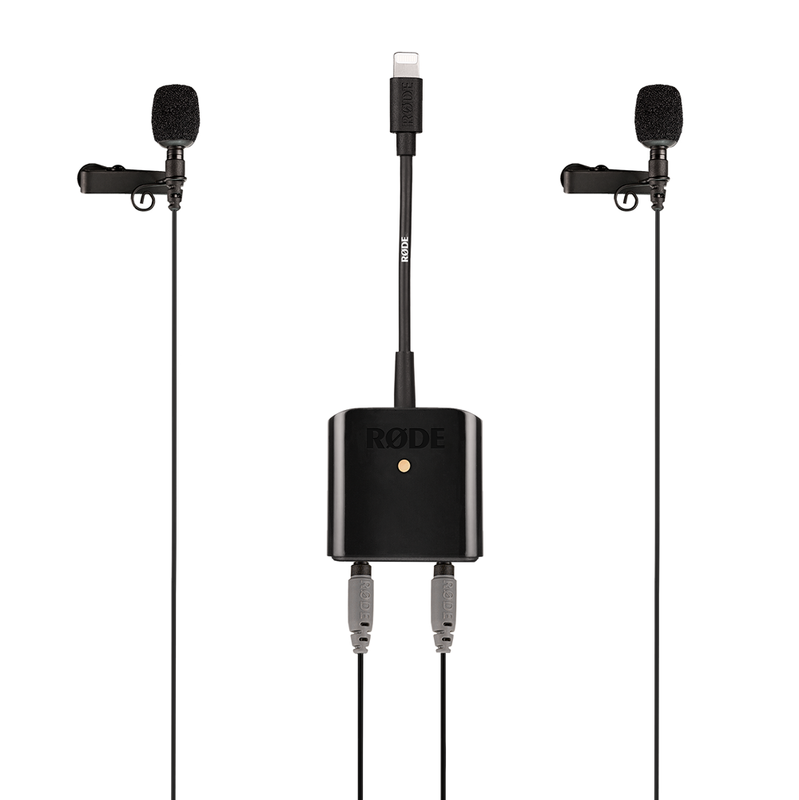 The SC6-L Mobile Interview Kit comes packaged with the new SC6-L Interface, 2 x Clips, 2 x Windshields, 1 x Storage Pouch, and 2 x smartLav+ Microphones – RØDE’s professional-grade lavaliers. These discreet and portable miniature mics are made with omnidirectional condenser capsules and Kevlar® reinforced cables – the ideal choice for a wide range of film, TV, podcast and broadcast applications. The SC6-L Mobile Interface and smartLav+ microphones are also available for purchase separately.